Committed to educating the whole person, Carrollton School of the Sacred Heart supports an extensive curricular and extracurricular program. Students throughout the five schools pursue a wide range of interests through programs integrated throughout the school year. By involving students in a number of school activities, clubs, and programs Carrollton is preparing them for the leadership roles they will assume in the future. The preparation of women of courage and confidence calls for education of the mind, the heart, and the body. with others during the school year. The following are some of the activities the girls in the Montessori take full advantage of: Montessori Garden, Columbus Day Celebration, Mater Mother-Daughter Event, Kindergarten Final Assembly, Catholic Schools Week, Halloween Parades, and Baby Congé. During the school year the girls participate in many different types of activities with their families such as the Father-Daughter Breakfast, the Mother-Daughter Picnic, and various musical programs. Each year students help to plan the parent activities, deciding on themes and activities which they believe will delight all who participate. In Second Grade our students prepare to receive the Sacrament of First Holy Communion, which is an integral part of their student life. Additional curricular activities include guest speakers and field trips to local points of interest that support the academic curriculum. Early in the life of a Carrollton student membership in the Blue or Gold team is important. It becomes a major part of the fun when the girls participate in activities and events by team. During the year, students participate in a variety of activities, which encourage cooperation and competition such as in their physical education classes and Field Day, which is always a highlight of the year. Community Service is an essential element of student life at all Sacred Heart Schools. At Carrollton, Primary Students have a wide range of activities which help them develop an understanding of the importance of service and social justice. The annual Halloween Collection has particular meaning because the students share a favorite costume with children from the Children's Hospital. The annual Blessing of the Animals, the Philippine Duchesne Play, Advent Prayer Services, Feast Wishes, and celebration of the 100 days of school, the Migrant Project, Conge, The Chinese New Year, the Fall Harvest Festival and the Earth Day Mass are just some of the activities the Primary children enjoy as part of their commitment to community. The following are some of the activities and programs the girls in the Primary take full advantage of: Halloween Parade, Father-Daughter Event, Field Day, First Communion, 100 Days of School, Blessing of the Animals, Fall Harvest, Saint Philippine Duchesne play, Advent Prayer Service, Migrant Week, Spring Musicals, Chinese New Year. 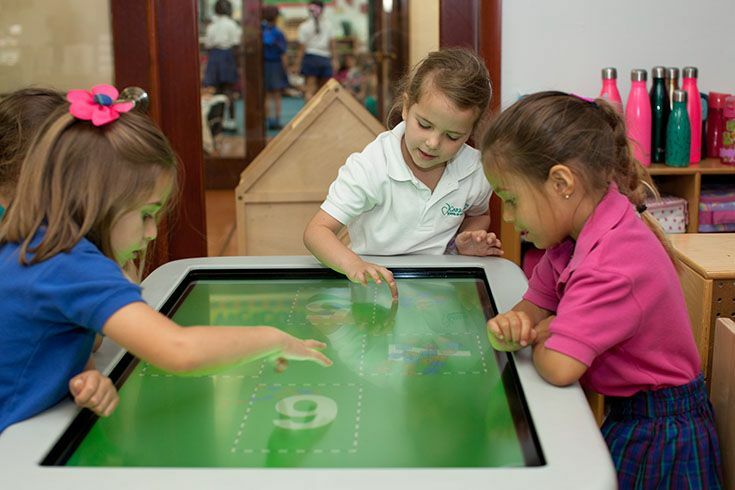 The Intermediate School provides the foundation for the skills that are essential for lifelong learning. The Core curriculum (Language Arts, Math, Social Studies, Science and Religion) and Encore subjects (Music, Art, Computers, World Languages, and PE), as well as weekly classroom developmental curriculum, are taught as an integrated part of the total body of knowledge and skills presented in the classroom. The curriculum is centered upon the valuable use of language as the main instrument to communicate ideas, information, experiences and values from one to another and across time. We encourage the study of reading, writing, listening and speaking as a set of processes that grows and flourishes when a child's own interests are involved. Skills are introduced and practiced as tools to improve these processes, not as ends in themselves. 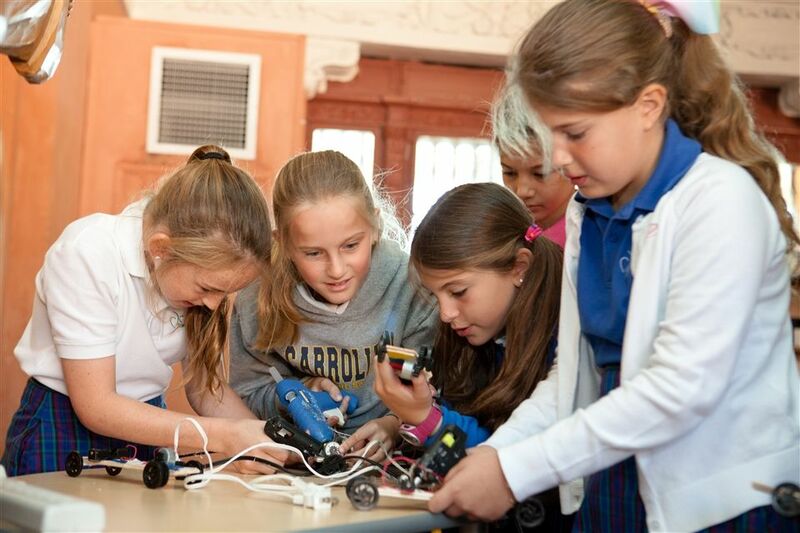 The objective of the instructional program in the Intermediate School is to teach the girls to “learn how to learn” and to be independent, self-directed learners who think critically and creatively. The innovative and nurturing environment emphasizes the education of the whole child academically, physically, socially, morally and spiritually. By involving students in a number of special events, school-wide liturgies, grade-level liturgies, social justice projects, team sports, and field trips, Carrollton is preparing them for the leadership roles they will assume in the future. The preparation of women of courage and confidence calls for education of the mind, the heart, and the body. Some of the special Intermediate Events include: Assembly, Merit Assembly, Prize Day, Blue/Gold Teams, Dress Down Days, Social Action Projects, Service Days, Amor en Accion, Barnyard, field trips, Student Ambassadors and Class Representatives. The preparation of women of courage and confidence calls for education of the mind, the heart, and the body. To that end, Carrollton School of the Sacred Heart supports extensive curricular and extracurricular programs. Students at Carrollton cherish traditions that punctuate the academic year. 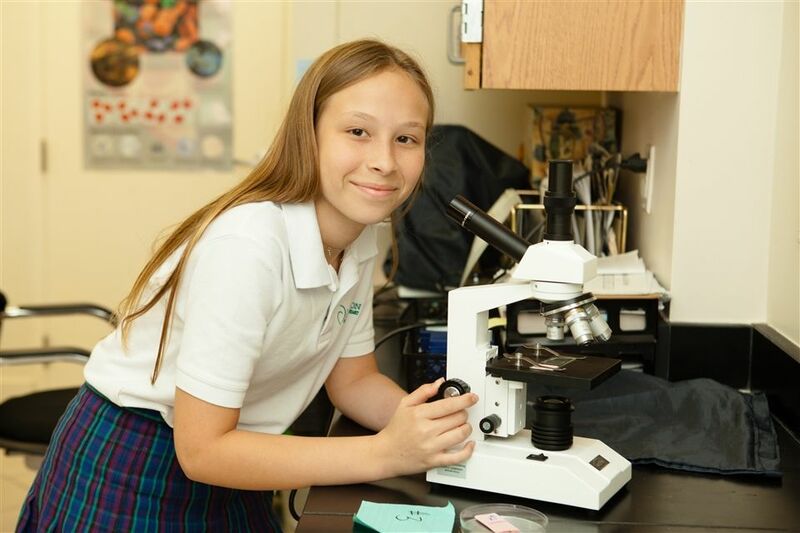 The Junior High offers a rich curriculum steeped in two centuries of Sacred Heart education. These traditions highlight our school’s connection to Sacred Heart schools around the nation and the world. The Network Exchange allows students the opportunity to spend time during the academic year at one of our sister schools in the United States or Europe. Junior High activities give students the chance to expand their interests, work with students in other grades, and meet boys and girls from other schools. Leadership opportunities are available through clubs, sports, the Student Council, and the National Junior Honor Society. Service days provide the opportunity for the girls to become aware of the needs of others in our community and help fill those needs. A myriad of sports is offered to help develop the body and provide a team experience. 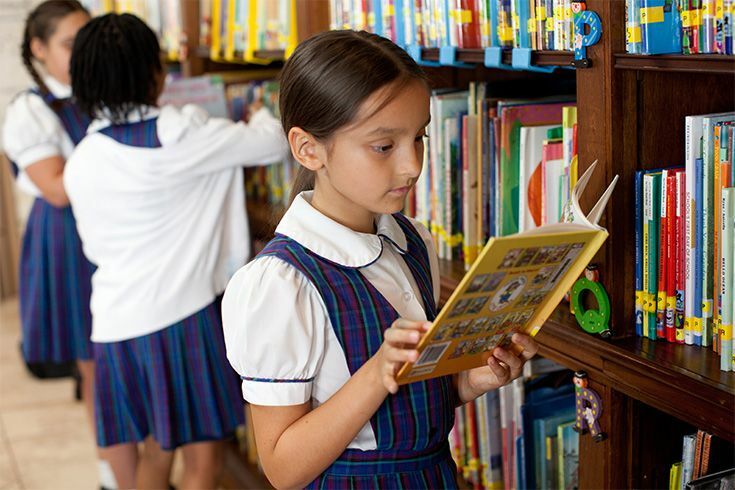 Carrollton School of the Sacred Heart is committed to educating the whole child thus preparing her to be a woman of courage and confidence in the twenty-first century. The Junior High experience is an integral part of that very important process. The following are some of the special Junior High activities, clubs and programs available for the girls: Student Council, National Junior Honor Society, Retreats, Green Fair, Service Days, Days of Fun and Friendship, Father-Daughter Events, Coastal Clean-Up, Ecology Club, St. Augustine visit, MarineLab visits, Mother-Daughter Events, Yearbook Club, Choir, Fairchild Challenge, and World Language Immersion trips. Students at Carrollton School of the Sacred Heart cherish traditions that punctuate the academic year. Steeped in two centuries of Sacred Heart education, these traditions highlight our school's connection to Sacred Heart schools around the nation and world. The Dean of Students is a full-time faculty member who oversees the curricular and extracurricular program. To help students coordinate activities, the Dean meets regularly with the Carrollton Congress and Club Presidents. An example of an all school Sacred Heart tradition would be Congé; it's a day of fun and enjoyment within the Carrollton community prepared by the seniorclass. Clubs such as Key Club and Human Rights Club offer students involvement in activities focused on global issues and volunteer work which coincides with Goal 3: Social Awareness that impels to action. Other groups such as the Carrollton Congress, Best Buddies, and Girl Up organize in-school activities, provide student support and serve as a vehicle for the discussion of issues at Carrollton School of the Sacred Heart. The Network Exchange provides students with the opportunity to spend time during the academic year at any of the twenty other Sacred Heart schools in the United States. Every year, Carrollton students venture afield to explore the "Sacred Heart experience" at one of our sister schools in the United States or Europe. 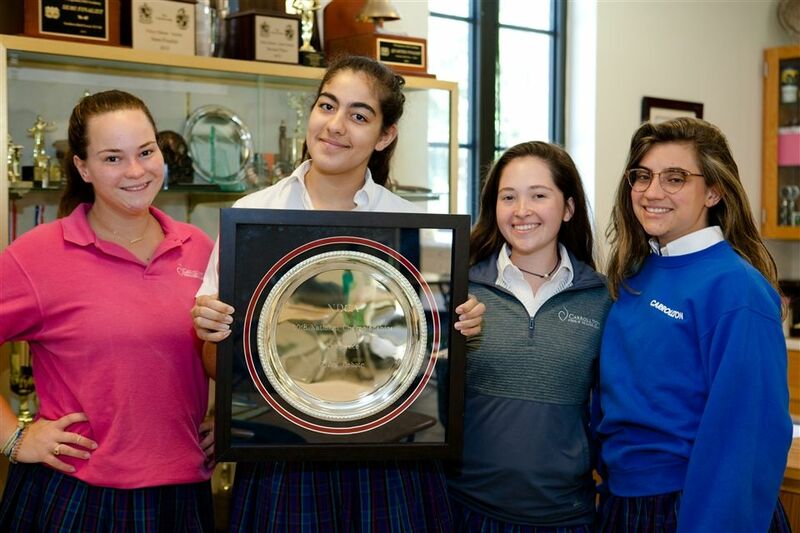 Similarly, each year Carrollton hosts students from sister schools; these exchanges foster lifelong friendships and cement the bond that our alumnae feel to graduates from Sacred Heart schools around the country. The following are some of the activities, clubs and programs the girls in the High School take full advantage of: Key Club, Student Ambassador group, Field Day, Robotics, Christmas Formal, Graduation, Ring Ceremony, and retreats.